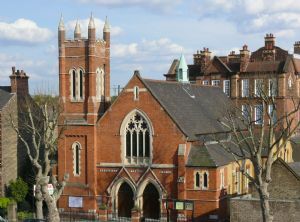 Earlsfield Baptist Church is situated in an area of London where commons, parks and green spaces can easily be reached. We accept the Bible as the Word of God and look to its teaching to guide us in our lives. We have a good name in the district and we welcome visitors to our services and other activities. For special needs we have ramp access to the church; wheelchair space; a toilet for the disabled and a hearing aid loop.